Product Details-Ingredients-Wheat bran, soybean meal, corn, rice, lucerne meal, full fat soybean, alfalfa, beet pulp, flax seed, yucca extract, antioxidants (BHA and BHT), apple flavour, artificial colourings, vitamin A acetate, choline chloride, vitamin D3 supplement, tocopheryl acetate, menadione sodium bisulfate, ascorbic acid, nicotinic acid, calcium. Flavor-Apple,Suitable-Rabbit.Quantity-1 Kg. 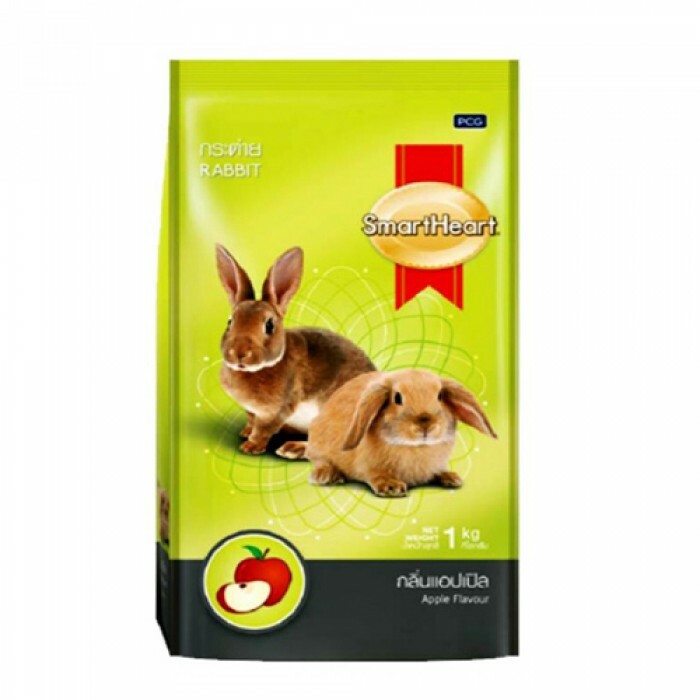 Product Information -Smart Heart brings a complete and balanced diet to look after the overall welfare of your pet rabbit. It supports the growth and strengthens the bones and teeth. Omega 3 fatty acid, sourced from flax seeds, nurtures the health and beauty of skin and fur. The complete food for rabbit is highly palatable with its exciting apple flavour. There is high-quality fiber in the form of alfalfa and beet pulp which enhances the effectiveness of digestive system. Yucca extract works to improve the quality of stool and also reduces the odour. 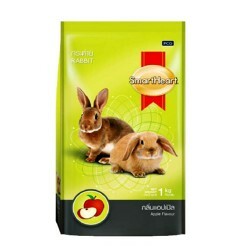 Smart Heart Apple Flavour For Rabbit is specifically developed for complete and balanced nutrition of rabbits. It is designed to give them optimum growth, strong bones and teeth, and healthy skin and coat. The rabbits will have a healthy digestive system as a result of alfalfa, timothy and beet pulp added to this rabbit food. Flax seeds are added to their food, which are rich in omega 3 fatty acids, which give them healthy and shiny, coat and skin. Yucca extract in this rabbit food enhances stool quality and reduces odour. The rabbits will savour the apple flavour with enjoyment as it enhances their palatability.